Pedro G. Romero has created a work whose aim is to review the avant-gardes through the settings of their material culture, that is to say, the clashes with the contradictions of their times. To do so, he uses ideas, vocabulary and visual forms from the archive. In this piece, the artist reconstructs the psycho-technical checa, built in 1937 by Alfonso Laurencic in the Sanjuanistas convent in Calle Zaragoza, Barcelona. The checas were a type of prison used by the Republican militia during the Civil War, distinguished by their use of a range of formal elements from the Surrealist and Geometric Abstraction movements as methods of torture. 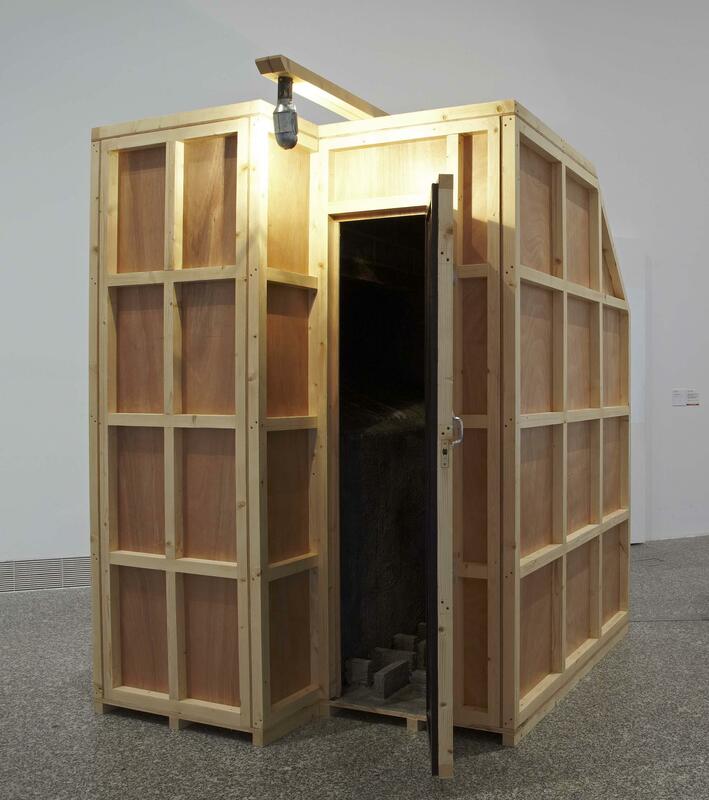 For the construction of the theoretical framework of the piece, Pedro G. Romero referred to a text by Slavoj Žižek, taken from his book The Parallax View; Romero draws a parallel between the application of modern art to the design of a torture cell, and the text Notes on Sculpture, published by Robert Morris in 1966, which aimed to rid sculpture of all extraneous internal relationships and transfer the centre of attention to the space, and the viewers.